Cindy and I have travelled a fair bit around Asia however never to Cambodia. We were so excited to get there and as usual Cindy done her thorough research for our accommodation. Our first stop was to arrive in Phnom Penh via Kuala Lumpur. 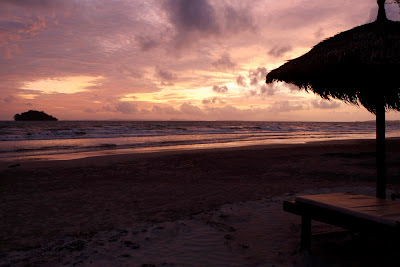 We then took a 3-hour car trip to Cambodia’s best beach town, Sihanouk Ville. 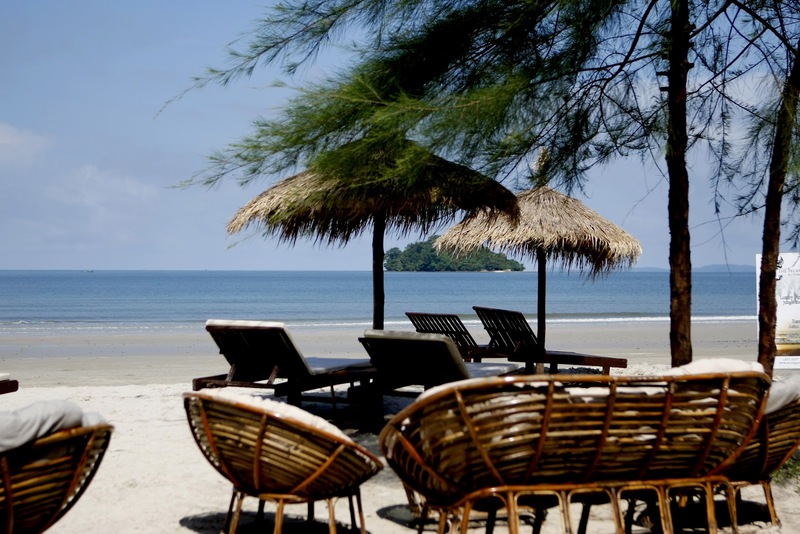 With several locations to choose from we chose the secluded area of Otres Beach. A 3-kilometre stretch of beach, which offers various hut style bungalows and bars. This area is less developed than other nearby tourist locations however offers an even more relaxed atmosphere. We chose The Secret Garden for our week stay. 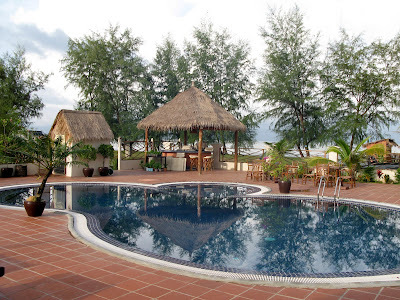 This newly built resort and bar offers 10 bungalows, pool, beach bar and restaurant. 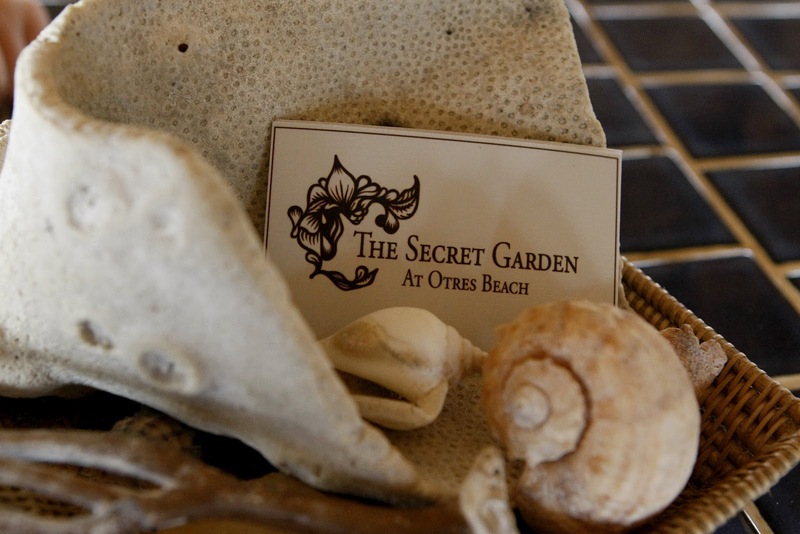 The Secret Garden is located at the secluded end of Otres Beach and offers the only pool amongst the strip of nearby properties. I have to admit the drive into the resort I was thinking my wife has gone nuts and may have got this one wrong. Remember we have three boys 4 & under with us. I thought this might be a check in – check out situation. How wrong was I!!!!! The bungalows are fresh and modern. Our room had a double bed, fold out trundle for the boys, ensuite with and outdoor shower which was really cool. The large pool situated at the front of property was maintained every morning. 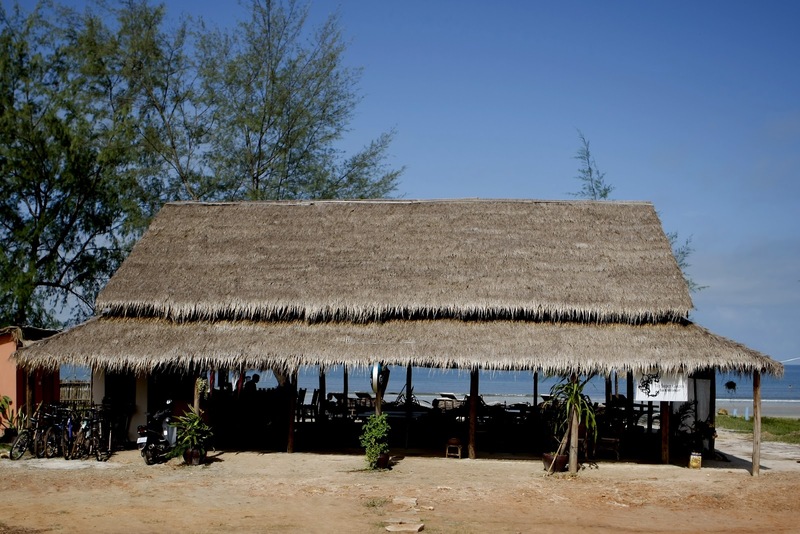 The bar and restaurant is located right on the sands edge. The Secret Garden is only a 15 minute Tuk Tuk ride back into the main town centre and costs around $5 one way. The menu was small but the quality of the food was high – go the Texas burger!!! Breakfast was included and had a great simple choice. Again the standard was high and Cindy and I were most impressed with the food (Cindy had a double serving of pancakes every morning!) . The nature of Sihanouke Ville is that nothing is a problem and if you cants become relaxed at Otres then you had better seek medical attention. As I type this I can hardly move my fingers I’m that relaxed – sitting under the thatched roof of the bar, listening to the ocean….. it goes on and on. Day six and we are relaxed –even with 3 active boys. This is the view from our breakfast table - pretty nice ! I know the owners and I am so happy to hear such a lovely review of their resort! :) I can't wait to make it here to visit them from the states. I'm sure you will love it as much as we did. Enjoy! Your welcome Tina, otres is truly beautiful. Worth the trip if you have time.